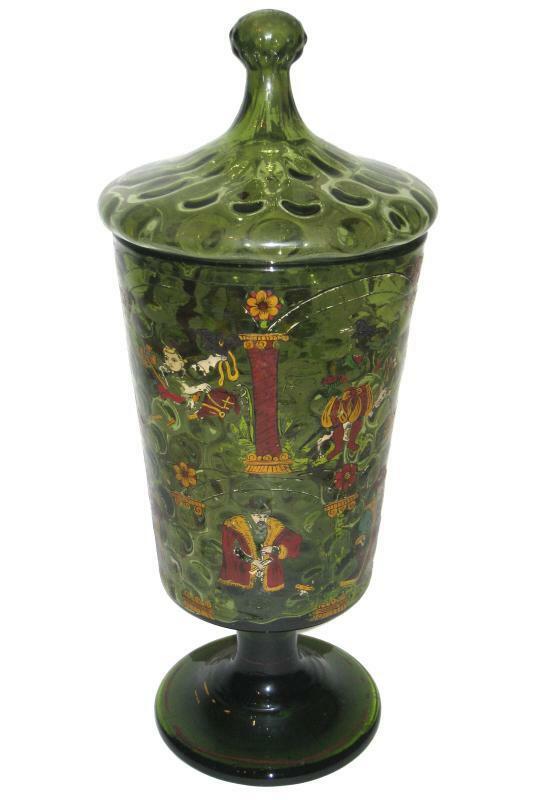 This antique goblet with lid (or humpen) likely comes from the German state of Hesse. 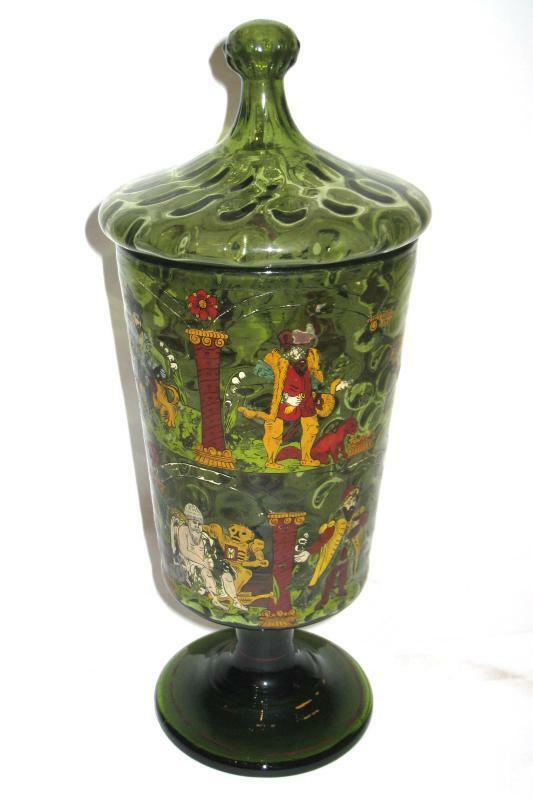 It is decorated in the 17th century style, but in fact likely dates from the nineteenth century. 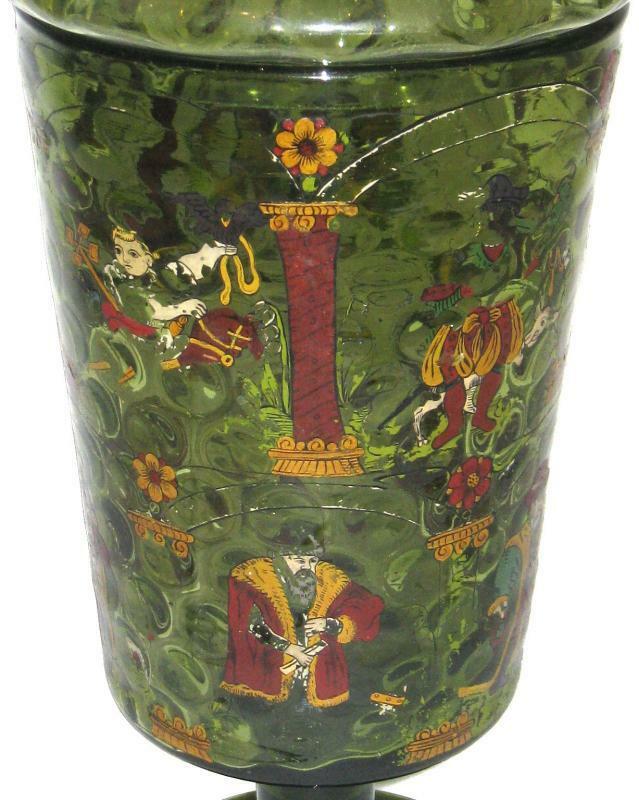 It features extensive enamel painted scenes depicting noblemen at various ages and with symbolic animals set within Masonic columns with arches engraved into the glass. 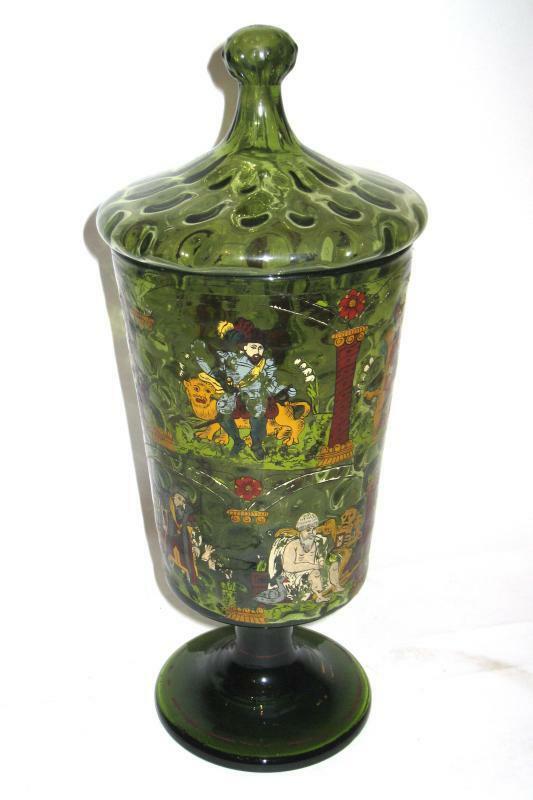 It measures 17" tall and 6.75" across, and the beaker alone without top measure 12.75" tall. There are obvious losses to the enamel. 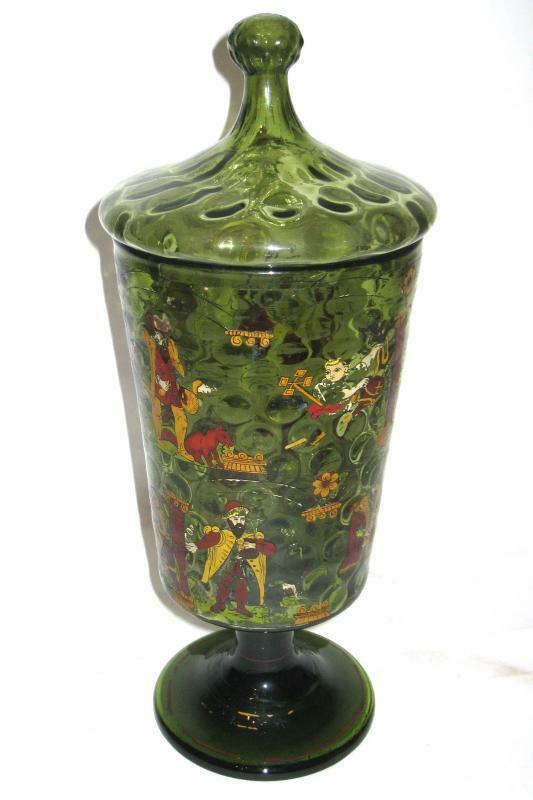 We have another green glass covered beaker for sale of the same design and scale, but of an entirely different subject matter. 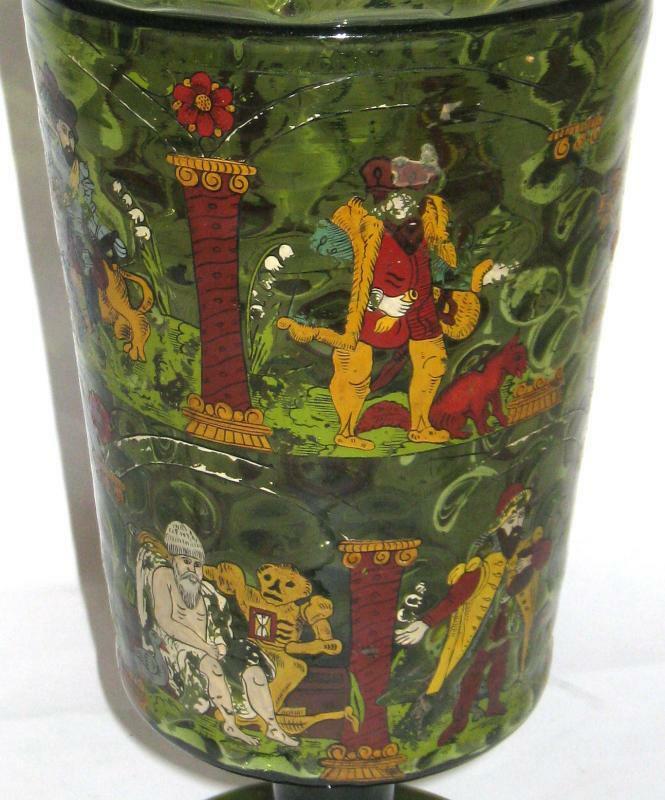 This other beaker is dedicated to three German noblemen and their guilds. 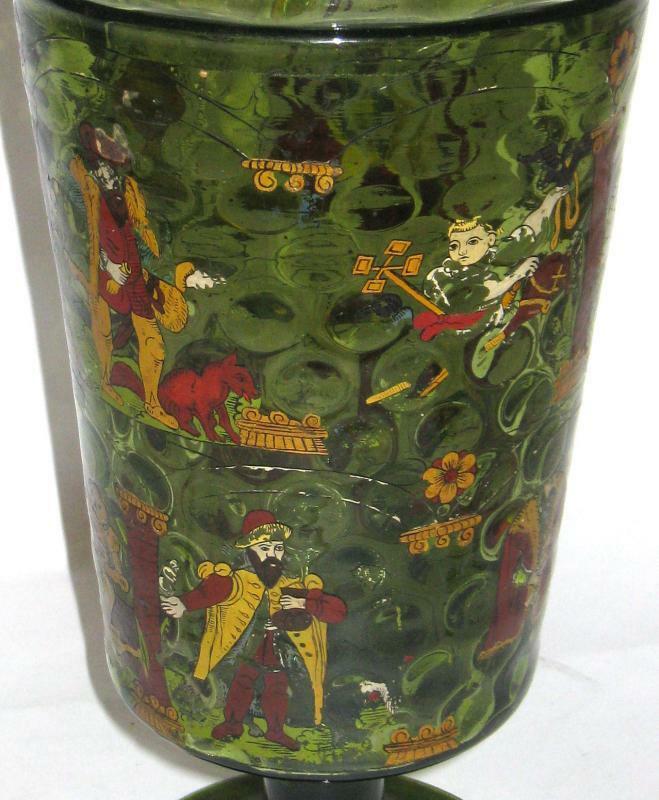 Items Similar To "Antique German Masonic Glass Pokal Goblet"